Sororal Vancouver combo Harlequin Gold are releasing their self-titled debut EP this summer, and Exclaim! has the premiere of the track "I Was Your Girl." 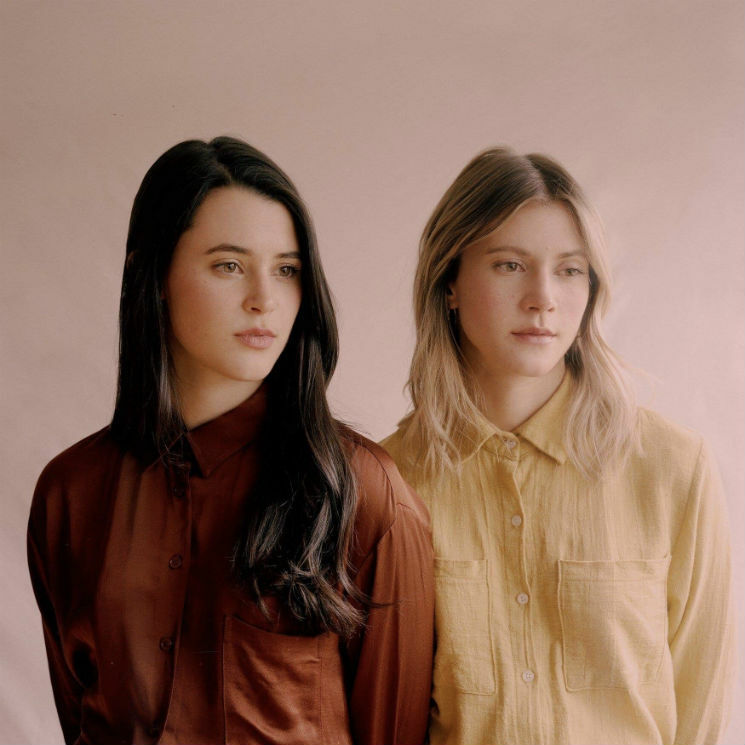 Harlequin Gold features sisters Elle and Avery O'Brien supported by producer-guitarist Justice McLellan (of Blue J and Mesa Luna) and drummer Jamieson Ko. The sisters sing in tight harmony on "I Was Your Girl," which features sprightly electric guitar and a thudding drum pulse for a sound that puts an indie rock spin on sprightly folk-pop. "I Was Your Girl" is about going through the motions of trying to love someone before you are ready to. The past scars haven't healed and you aren't ready to open up but there's a perfect person standing in front of you asking for you to fall. The forthcoming EP was produced by the band's own McLellan, with contributions from Mark Needham (Imagine Dragons, the Killers), John Raham (Dan Mangan, Frazey Ford) and Stephen Marcussen (Paul McCartney, Band of Horses). Scroll past the band's upcoming tour dates to listen.